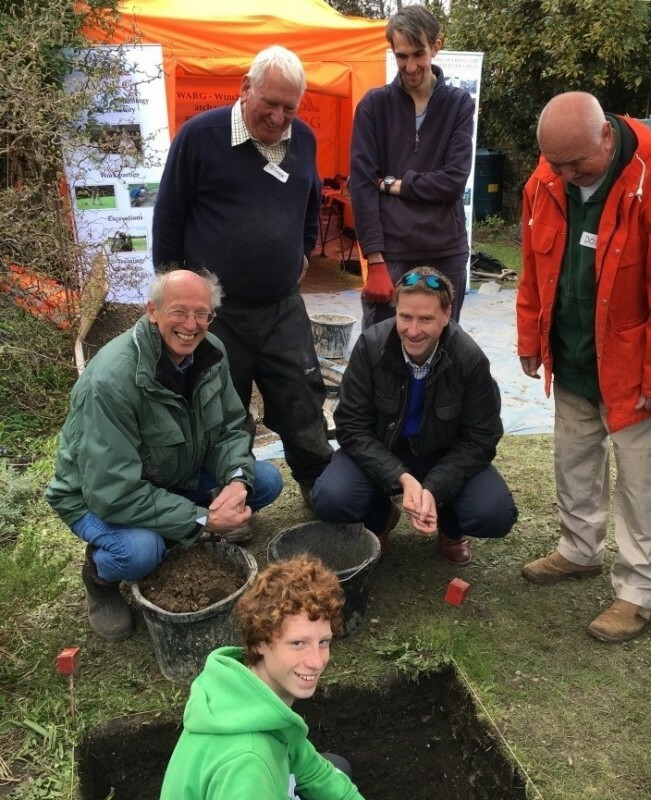 Taking centre-stage at the recent Hyde900 King Alfred Weekend exhibition was a display of finds from the community archaeology project undertaken earlier this year in a garden in King Alfred Place, Hyde. This revealed, among other things, the site of Hyde Abbey church’s south transept. Following this success Mayor Jane Rutter announced on behalf of Hyde900, that there will be a further community excavation project in 2017 when work will commence on investigating two adjoining gardens in King Alfred Terrace. 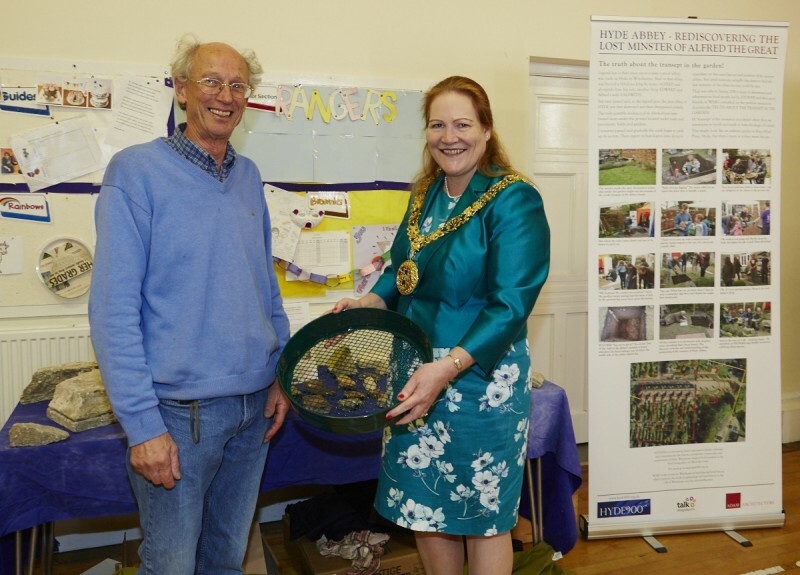 The Mayor was the first to sign up for the excavation, and was presented with a personalised sieve for her use by event organiser David Spurling. “We already have extensive material which has surfaced on the site thanks to the work of local resident Chris Prior who contacted us when he discovered a number of interesting stone while preparing the ground for his vegetable plot,” explained Hyde900’s David Spurling. “An examination by Ross Lovett, formerly the head mason and conservator at Winchester Cathedral confirmed that the stone dated from the Norman period and also included high quality Purbeck stone which is thought to come from the interior of the abbey establishment. 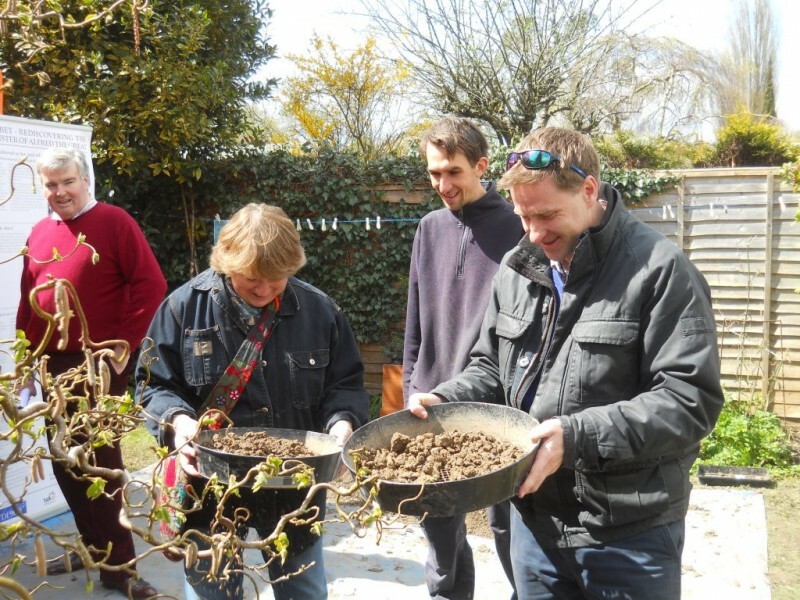 Hyde900 is delighted to announce that the 2017 Hyde900 Community Dig is being supported by the Heritage Lottery Fund, Belgarum Estate Agents and Winchester City Council. At the exhibition the first to register to take part in the dig was the mayor of Winchester followed swiftly by local MP Steve Brine. People of all ages who want to join them and get a sense of what might be called the ‘Time Team Experience’ can now register their interest. There will be plenty of opportunities for local people – and those from further afield – to take part.